Embedded with a built-in web browser, Xilisoft Online Video Downloader enables you to visit most popular online video websites in the application and click to download online videos in high speed. Support downloading online HD videos in resolution of 1080P or 720P as well. 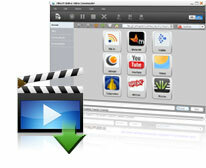 In the process of viewing online videos, you can download these videos in high-speed by one click. You can also start a new downloading task by giving URL of the video accordingly. Logon the most popular online video websites and look through online videos, click to view any video you are interested in within the application. Xilisoft Online Video Downloader offers a convenient web browser which enables you to search and view online videos, no need to open Internet Explorer or other independent web browsers. Most popular online video websites are supported, including YouTube, Metacafe, Break, Blip, blogTV, NicoNico. 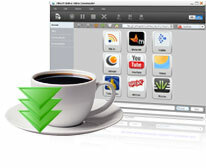 Batch Downloading is supported which enhances the efficiency in downloading and boost the performance of the application.